Love is truly amazing and falling in love with the right person makes it even more so. It knows no bounds and is blind as the popular saying goes. 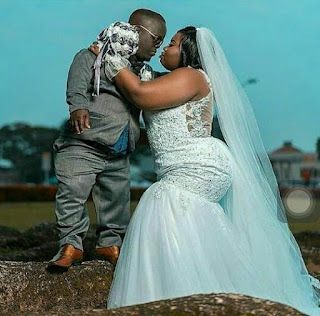 Check out this really cute photo that shows a Ghanaian bride kneeling down to kiss her husband. 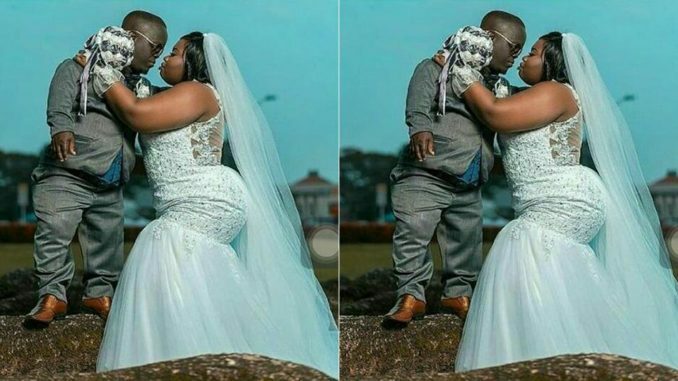 Even though height, weight, size etc can be a big ‘NO’ for some people, it is quite amazing to know that there is always ‘someone for everyone’ and this beautiful couple is a true definition of that statement.